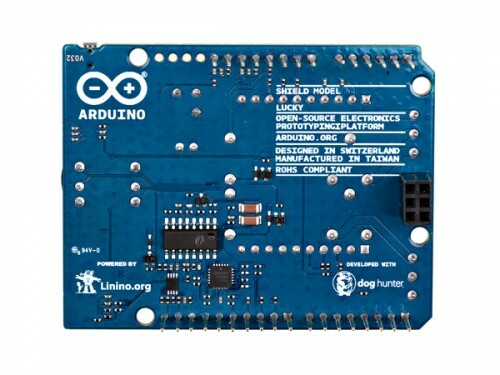 You are lucky with Arduino Lucky Shield! 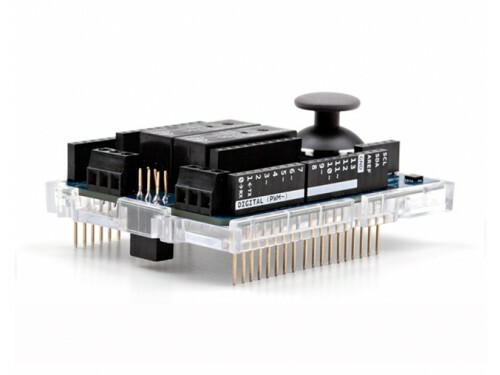 A single shield with many sensors. 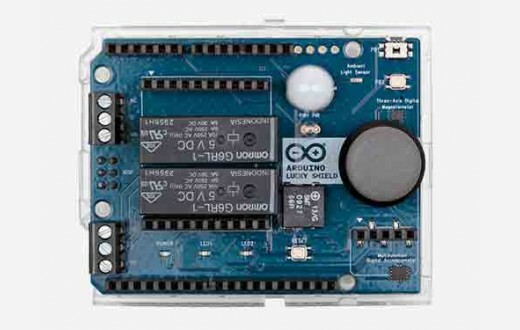 Arduino Lucky Shield is an easy way to use your Arduino boards, that grants you access to barometric pressure, relative altitude, luminosity, temperature, motion and presence. You can also turn it into a simple controller and OLED (organic light-emitting diode) display system. It is the perfect shield for IoT. The shield doesn't need external power. It will be provided by the Arduino base board, through the 5V and 3.3V pins of the base. 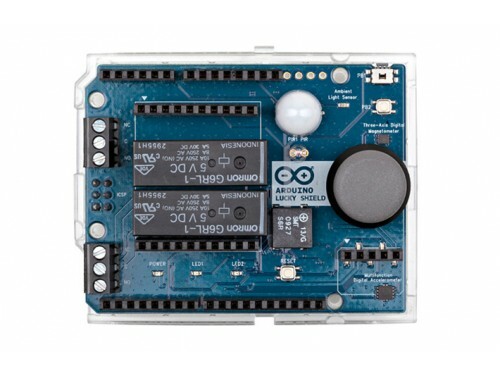 The shield is compatible with all Arduino board 5V and 3.3V standards. The maximum length and width of the Lucky Shield PCB are 2.7 by 2.1 inches,respectively (68.6 x 53.4 mm). Four screw holes allow the Shield to be attached to a surface or case. Note that the distance between digital pins 7 and 8 is 160 mil (0.16"), not an even multiple of the 100 mil spacing of the other pins.